Medical Director and founder of NYFC. 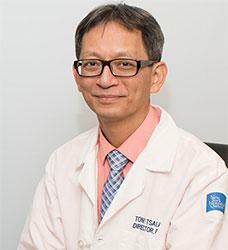 Dr. Tsai is the Medical Director and founder of NYFC. Dr. Tsai completed his undergraduate training at Columbia University and received his Medical Degree from Mount Sinai School of Medicine. He completed his OB/GYN residency at Albert Einstein College of Medicine and his fellowship in reproductive endocrinology & infertility at the University of California-San Francisco/Stanford Medical Center. 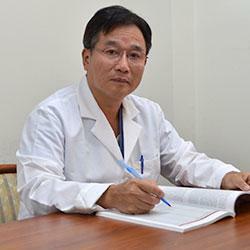 Dr. Tsai has authored numerous research papers in the fields of gynecologic and reproductive endocrinology. Special areas of interest include the infertility, laparoscopic, laser surgery and difficult cases. Dr. Tsai is an Assistant Professor of Obstetrics and Gynecology at Weill Medical College of Cornell University. He is the former Chairman of ACOG District 2 Section 3, and holds numerous other leadership positions including former president of Queens Ob/Gyn Society, former Vice Chairman, as well as Secretary and Treasurer of Queens Ob/Gyn Society. 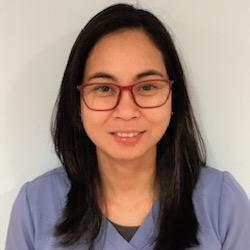 Dr. Tsai is the Director of the Division of Reproductive Endocrinology and Infertility at New York Presbyterian Queens. The Division of Reproductive Endocrinology and Infertility provides a full spectrum of state-of-the-art medical and surgical treatments in assisted reproductive technologies. Additionally, the service provides expert care in all aspects of reproductive endocrinology and gynecology. 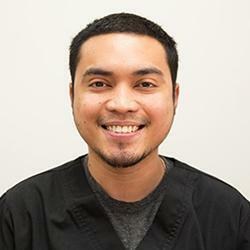 He specializes in surgical management of pelvic pain, endometriosis, fibroids, uterine septum and asherman syndrome. He has performed over 100 laparoscopic myomectomies per year and hysterectomies also known as “Band-aid hysterectomy and Band-aid myomectomy”. He is the first in Queens to popularize LSH, laparoscopic supracervical hysterectomy. This procedure allows the preservation of the cervix when removing the uterus. The cervix may play a role in female sexual satisfaction therefore he tries not to remove it unless absolutely necessary. He is also the first to implement a staged laparoscopic/hysteroscopic myomectomy approach. For fibroids that are too large to safely remove from the uterus during a single surgery a staged procedure is performed and the rest of the myoma is removed. This technique has also been applied to uterine septums and adhesions. Director of reproductive medicine laboratories in the New York Fertility Center. Dr. Huai L. Feng, is a world-renowned specialist in reproductive medicine, andrology and embryology. He is the Director of the reproductive medicine laboratories at the New York Fertility Center. Dr. Feng is an active board member on academic committees of several state key laboratories from Mainland China. Dr. Feng is certified by the American Board of Bioanalysis (ABB) as a High-Complexity Clinical Laboratory Director (HCLD), Embryology Laboratory Director (ELD), Andrology Laboratory Director (ALD), and clinical consultant (CC), and holds professional certificates and technical licenses in the United States, including the New York State Tissue Banks, senior laboratory officer, embryology and andrology, and clinical technology. He is also a part-time and an off-site director of laboratories in multiple centers across the United States. Dr. Feng has published over 200 research papers in peer-review scientific journals, and has edited four books as editor-in-chief or in co-chief. He has also received more than thirty awards from professional committees and international organizations. Dr. Feng is a clinical member of the Expert Committee in Society for the Study of Reproduction. He is also an active member in multiple professional Societies and Academies of Science. Dr. Feng was awarded the Distinguished Scientist in the World from IBC of Cambridge in 2005, and elected as an Outstanding Inspector from the College of American Pathology (CAP) in 2006 and Scientific Award from ASRM in 2014. Jenny has over 10 years of experience in the industry, and can assist with any and all questions that you may have regarding your insurance coverage. Oleysa has over 5 years of experience in the industry, and can help you understand your coverage needs and assist you in other financial options that are available to you. 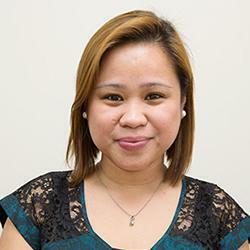 Noel has over 7 years of experience as an IVF nurse. He has assisted and guided patients through successful journeys, helping in the births of thousands of children. Lainie has over 4 years of nursing experience. 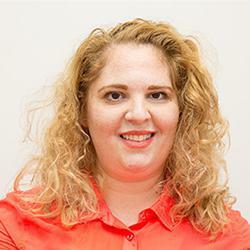 Lainie is very passionate about her work and looks forward to assisting you in your journey. 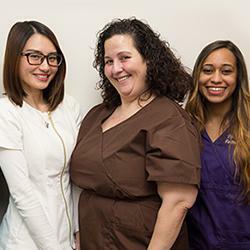 Our ultrasound technicians are an experienced, multilingual team that is well-trained in IVF services.